President Muhammadu Buhari on Saturday morning reaffirmed his confidence in winning the presidential election. 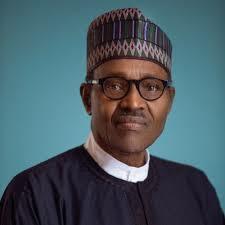 Buhari told newsmen shortly after voting at Kofar Baru, Sarkin Yara “A” ward in Daura, his home town, that he would win the election and congratulate himself. The president was accompanied by his wife, and some security details. Aisha was the first to vote before the president at 8.06 a.m., while the president voted at 8.10 a.m.
“So far, so good. Nigerians understand and are behaving themselves,’’ Buhari said when asked to give his assessment of the exercise, so far. When asked if he would congratulate the winner if he lost the election he said, “I will congratulate myself; I am going to be the winner,’’ the president said.